Whether you want a quick, on-the-go lunch, a light lunch, or something more involved, there are plenty of vegan meals you can enjoy. With a handful of the right recipes, you'll have a variety of lunches to keep you happily fed. 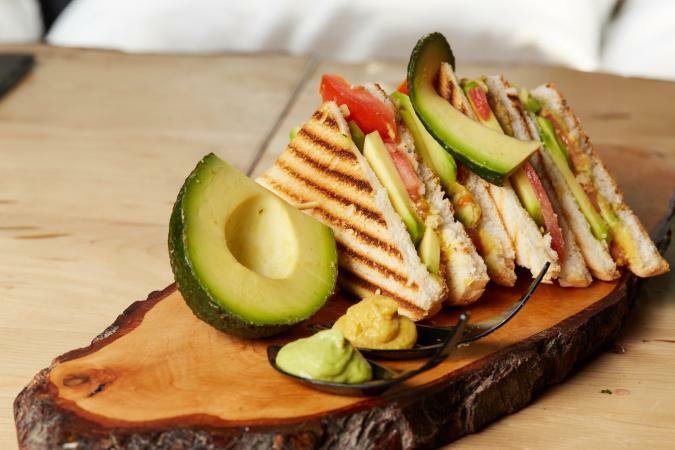 A good sandwich makes a perfect lunch. Try this yummy VLT, have a piece of fruit, and finish with a sweet bite, such as a vegan cookie. In a large nonstick skillet, heat two tablespoons of the olive oil over medium-high heat until it shimmers. Add the eggplant slices and cook, turning occasionally, until browned, about five minutes. Set the eggplant aside. Add the remaining two tablespoons of olive oil to the skillet. Add the mushrooms and zucchini. Season with the salt. Cook, stirring occasionally until the vegetables are browned, about five minutes. In a small bowl, mash the avocado with the lemon juice. Spread on one slice of toast. Spread the Dijon mustard on the other slice of toast. Top one of the toast slices with the cooked vegetables and then add the tomato and lettuce. Top with the second piece of toast. 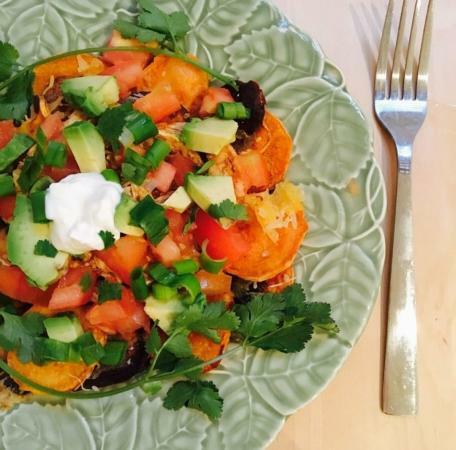 These nachos will keep you satisfied until it's time to think about dinner. This recipe yields four to six servings. Toss the sweet potato slices in 1 tablespoon of olive oil and salt. Spread over baking sheet and bake for 30 minutes or until crispy. While sweet potato slices are baking, heat a saute pan on medium high. Add in 1 tablespoon of olive oil. Once slightly bubbling, add onions and cook until soft and translucent, stirring occasionally. In the saute pan, stir in black beans, garlic powder, and salt. Reduce heat to low, cover, and cook for 10 minutes occasionally stirring. Remove potatoes from oven and spread on a platter. Top with beans, tomatoes, avocado, green onion, cilantro, nutritional yeast, and a dollop of sour cream. To add more protein to these delicious vegan nachos, consider adding tofu, pinto beans, or cooked seitan. Other topping options include jalapenos, peppers, red onion, salsa, olives, radishes, or a cashew-based queso sauce. Try these other vegan foods for a delicious lunch. Salads are always good for a light lunch. If you're on the go, carry the dressing and the salad separate and add the dressing to the salad just before serving. You can make a vegan pasta salad ahead of time and take it for a lunch on the go. Enjoy a big salad of your favorite veggies and top it with a vegan salad dressing. Make a vegan bacon-lettuce and tomato (BLT) with some homemade vegan bacon. If you love nut butter, try a sandwich made with homemade nut butter and jam. Add homemade hummus and veggies to a pita pocket for a tasty lunch. Soup works well for lunch because it reheats easily on the stovetop or in the microwave. If you've got some time to cook on the weekend, enjoy this vegan French onion soup. The great thing about vegetable soups (along with their delicious flavor) is you can make big batches, freeze them in single servings, and pull one out of the freezer every time you need a quick meal. 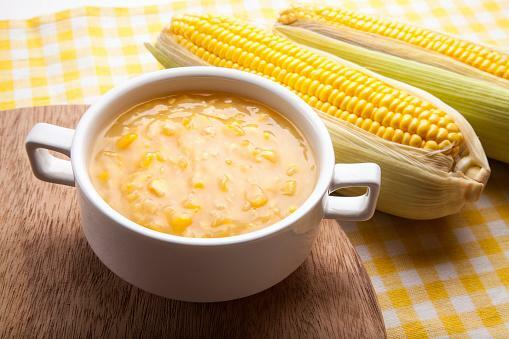 Replace the skim milk with a non-dairy milk and the chicken broth with vegetable broth, and this corn chowder recipe makes a great lunch. Whether you want a quick lunch you can whip up at the last minute or a more involved lunch that requires some cooking time, these are all excellent choices. Vegan lettuce wraps make a satisfying and tasty lunch. A strawberry smoothie also makes a good quick lunch. Vegan mac 'n cheese is a delicious make-ahead lunch you can reheat. A vegan quiche or a vegan spinach quiche is a great luncheon or brunch food. Vegan risotto is a tasty lunch, and you can make it ahead and reheat it. Vegan sushi makes a lovely light lunch. Having a few recipes for sides allows you to add diversity to your lunches. For a great side dish, serve your sandwich with vegan cole slaw. Have a vegan muffin as a delicious side with a bowl of soup. Make these sweet potato fries as a side for a sandwich. It's always nice to finish your lunch with something sweet. 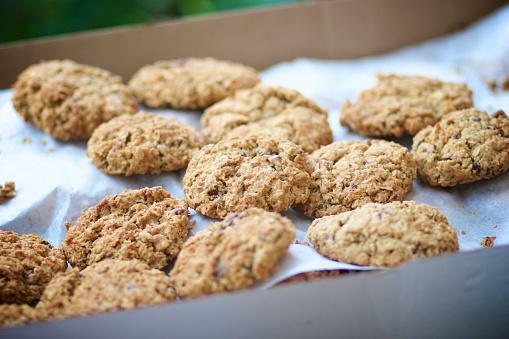 Finish off your lunch with a vegan oatmeal cookie. Enjoy a slice of lemon cheesecake. There's no limitation for the lunches you can enjoy. Whether you're eating leftovers from last night's dinner or enjoying a sandwich, have a nutritious lunch to keep you fueled throughout the day.